Very rarely, a voter may apply their votes to the wrong entry- it happens! Learn the fix here. 4. 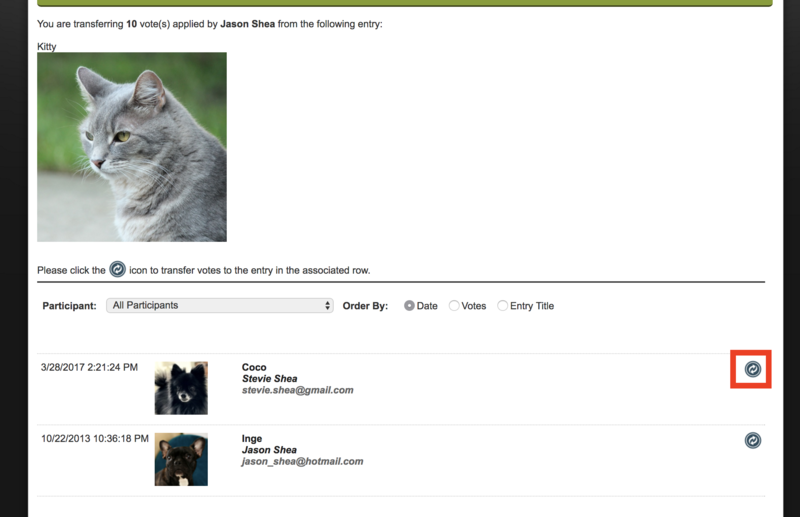 The ENTRY INFORMATION page loads, along with a list of votes that were applied to the entry. 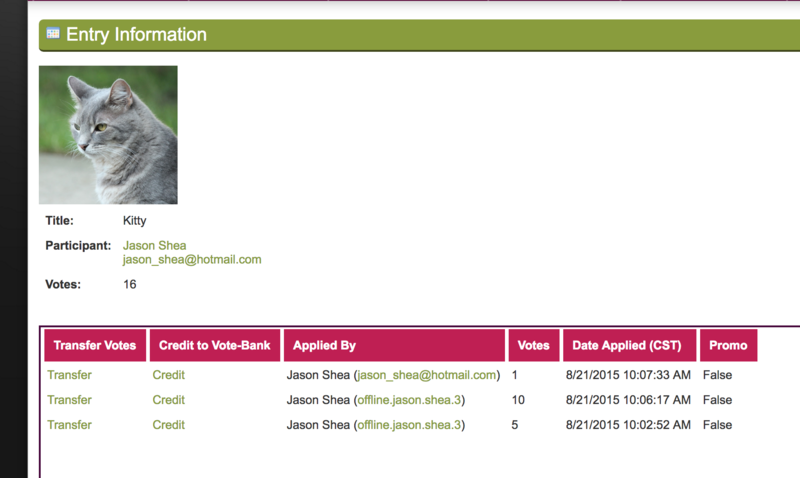 Allows you to transfer votes to a different entry. This is a great option if the voter has told you which entry they'd like their votes to be applied to. This option transfers the entire vote amount- you can't split it up between separate entries. 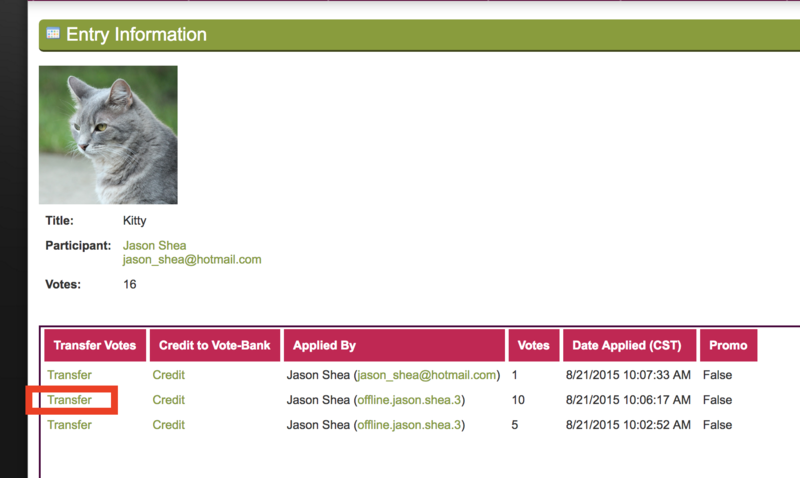 Allows you to credit the votes back to the voter's vote bank so they can apply the votes to the entry of their choice. This is also a good option if they want to split their votes up among multiple entries. IMPORTANT: Neither option refunds votes. If you need votes or a transaction refunded, please contact us at gogophotocontest@gmail.com and we'd be happy to help you out. The TRANSFER VOTES screen loads, along with a list of current entries in your contest. Click the icon next to the entry where you wish to transfer votes. A confirmation screen appears. Click OKAY. The votes have now been transferred to the chosen entry. The votes have now been credited back to the voter's vote bank and are removed from the entry. 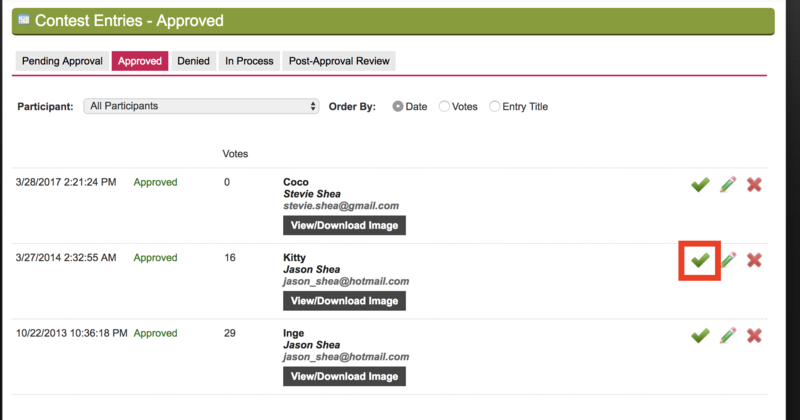 The user can now access the votes in their vote bank and apply them to the entry(s) of their choice.